In Czech Republic, NESEHNUTÍ is organising a number of events, including movie screenings, workshops and talks throughout the week. See the full list of events here. In Turkey, on 17th November, Nonviolent Education and Research Association is hosting a public forum with young people on promoting peace and nonviolence among youth. On 11th November, LGBTIQ+ activists from Boysan'in Evi in Istanbul is organising a talk on compulsory military service and rights violations in relation conscription (find more information here). In Colombia, ACOOC, Justapaz, Colectiva La TULPA and Articulación Antimilitarista are organising a public forum on the experiences of conscientious objectors and how to promote conscientious objection among young people in the country. Find more information here. In the UK, a number of War School screenings -a documentary explaining the promotion of military and military values in schools across Britain- is taking place. You can see a full list of screenings here. In Nepal, WRI activist and council member Subhash Kattel is organising a number workshops throughout the week with young people. In Finland, activists from AKL (the Union of Conscientious Objectors) are organising actions in front of the military recruitment centre in Helsinki throughout the week and inform young people on conscientious objection. In Italy, Movimento Nonviolento is publishing articles and interviews on Azione Nonviolenta online on youth militarisation in Italy and elsewhere, and organising an online action on 18th November. In Greece, activists in Athens are organising a nonviolent street action on 17th November. More info soon, stay tuned! If you'd like to take part in the week, it's not too late to get involved. 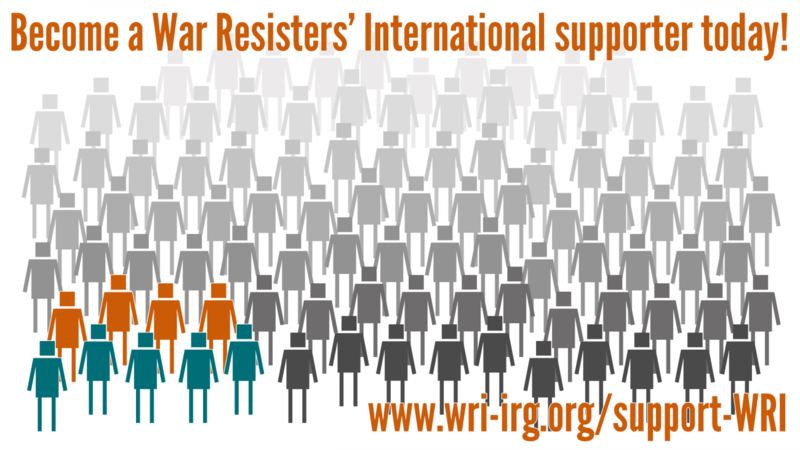 Get in touch with us via cmoy@wri-irg.org and we will connect you with WRI activists in your countries/cities. Follow us on Twitter and Facebook, where we will share updates and information from different countries throughout the week. You can also join us with your own posts with the hashtags #demilitarisedyouth and #weekofaction.